It's a concerning truth: the world's honeybee population is in trouble. 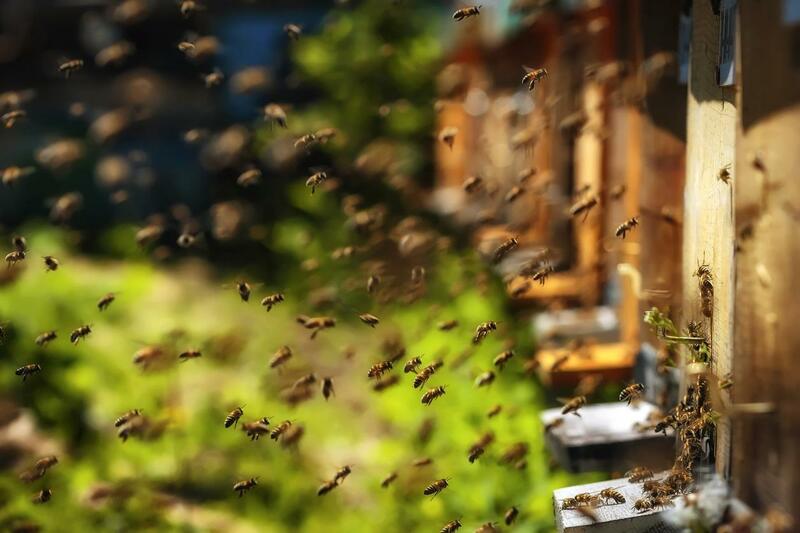 The mysterious problem known as "colony collapse disorder," in which a majority of worker bees suddenly abandon their hives or die before they can return to them, has many in agriculture and food production deeply concerned. Rightfully so, since honeybees are a vital part of not only the natural world, but of the human food-production process. For example, it is estimated that bees pollinate around 35 percent of the global food crop. In 2014, it was discovered that a certain class of pesticides, called neonicotinoids, used in the very fields that the honeybees help to pollinate, were largely to blame for colony collapse disorder. 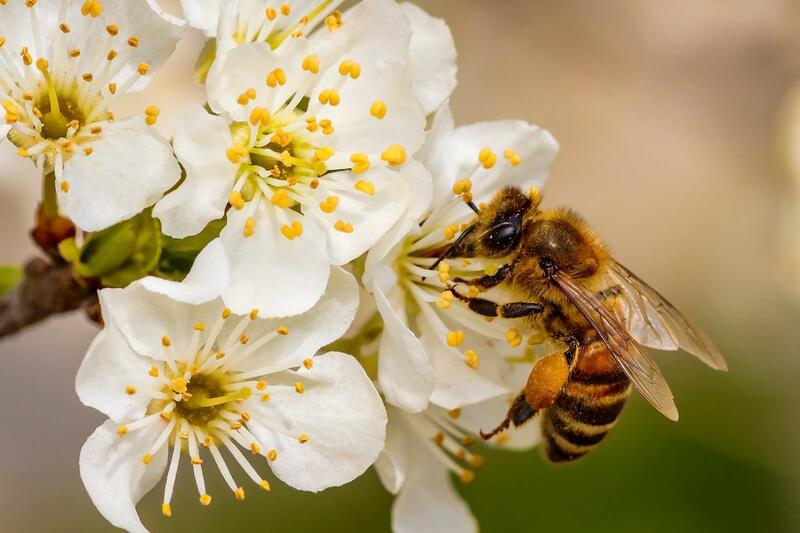 According to researchers from Harvard University, neonicotinoids appeared to cause "impairment of honey bee neurological functions, specifically memory, cognition, or behavior," which led to worker bees becoming confused or lost, thus unable to return to their hives. These findings prompted many changes in pesticide use, even paving the way for a ban on neonicotinoids in several U.S. cities and the entire state of Maryland. As Dr. Gregory Reid of Western University explains, the "demise of honey bees would be disastrous for humankind. A current dilemma in agriculture is how to prevent bee decline while mitigating crop losses." But now, researchers from Lawson Health Research Institute and Western University have discovered a new and relatively simple way to protect honeybees, including those that have been exposed to pesticides, from succumbing to colony collapse disorder. The possible solution? Give the bees a dose of probiotics. Using fruit flies as a stand in for bees, researchers exposed the insects to pesticide levels similar to what bees would encounter in a field. These flies became more susceptible to infections, and had a higher rate of mortality. But once the affected flies were exposed to the probiotic lactobacilli (a probiotic commonly found in foods, such as yogurt) their survival rate improved. Lactobacilli is thought to stimulate the bees' immune systems, which had been damaged by the pesticides. But how to introduce the probiotic to bees in the wild? That remains unclear. However, bees kept by keepers can easily be exposed to lactobacilli by way of pollen patties. Beekeepers already use such patties to provide nutrition to their bees, so adding probiotics would be a relatively simple affair. This could be a huge boon to Canadian beekeepers, who have been struggling to maintain their hives in recent years. Over the winter, 340 beekeepers in Ontario reported that over 70 percent of their bees tested positive for neonicotinoid residues. Meanwhile, honeybee mortality in Canada has risen to levels that are two to three times higher than what is sustainable, at around 38 to 58 percent. Of course, it is likely that nothing would be as effective in ending colony collapse disorder as stopping the use of neonicotinoid pesticides altogether. But, as Dr. Gregory Reid of Western University explained, this viewpoint doesn't quite take the plight of modern farmers into account, and thus may be easier said than done. As he puts it, "until we can cease using pesticides, we need to find ways to protect humans and wildlife against their side effects. Probiotics may prove as an effective protective intervention against colony collapse disorder."